We are counted amongst the most dependable Porcelain Heaters Manufacturers, Exporters and Suppliers in the global market. The Porcelain Heaters we manufacture are made with high temperature bearing insulators ensuring high and efficient heating. 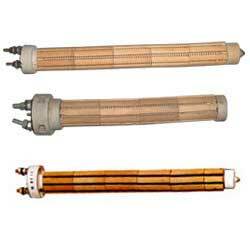 In Porcelain Heaters elements are exposed partially in air for better transmission of air. Porcelain Heaters are extensively used in applications where draining is not possible.